jentur has no other items for sale. Lauren Jeans Co Womens Capri/Ankle Jeans-Sz 16W-Orange/Red-VGUC! 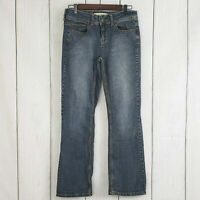 MIXIT SIZE 6 VERY GOOD CONDITION DK DENIM JEANS WIDE LEG WAIST 32" INSEAM 31"